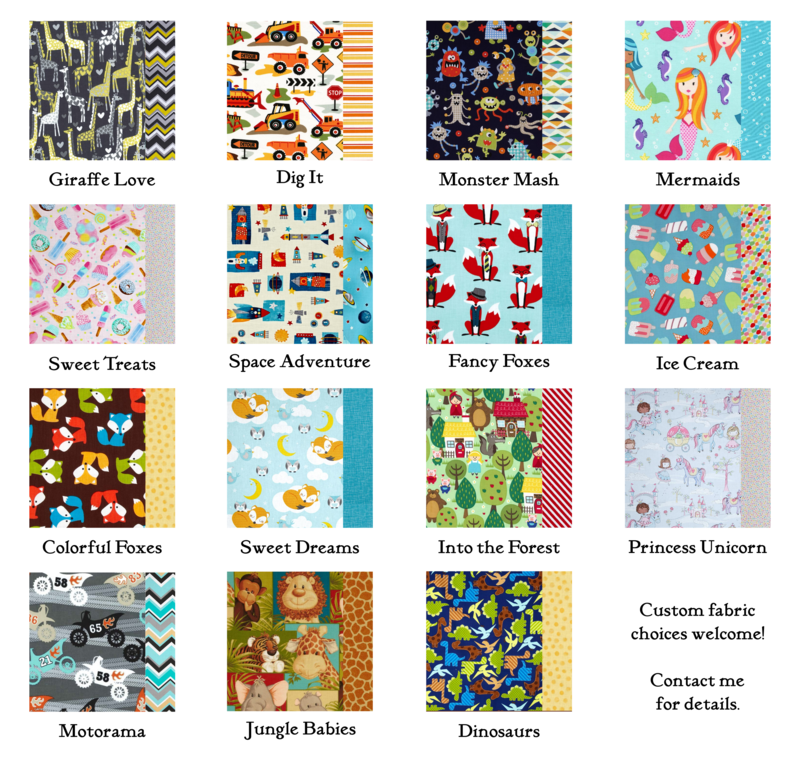 Cover Size Choose an option19" x 44/45" x 1"19" x 44/45" x 2"24" x 48" x 1"24" x 48" x 2"
These washable, removable nap mat covers are made to fit over a Kindermat or comparable brand nap mat, which many schools and daycares require. A nap mat is not included. 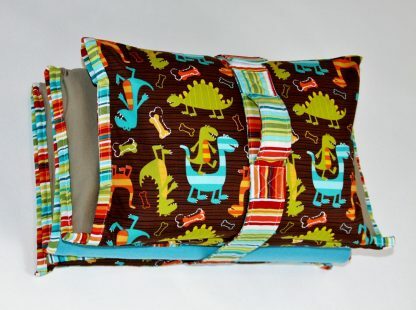 This listing is for a nap mat cover sewn in your choice of designer fabric prints. 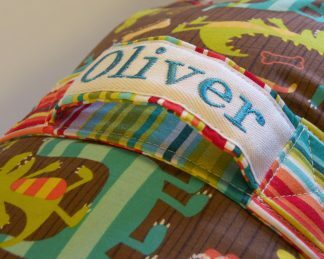 The binding, handle, and strap will be sewn in a coordinating print, as shown on the right side of each option. Zoom in on the print options picture to have a closer look. 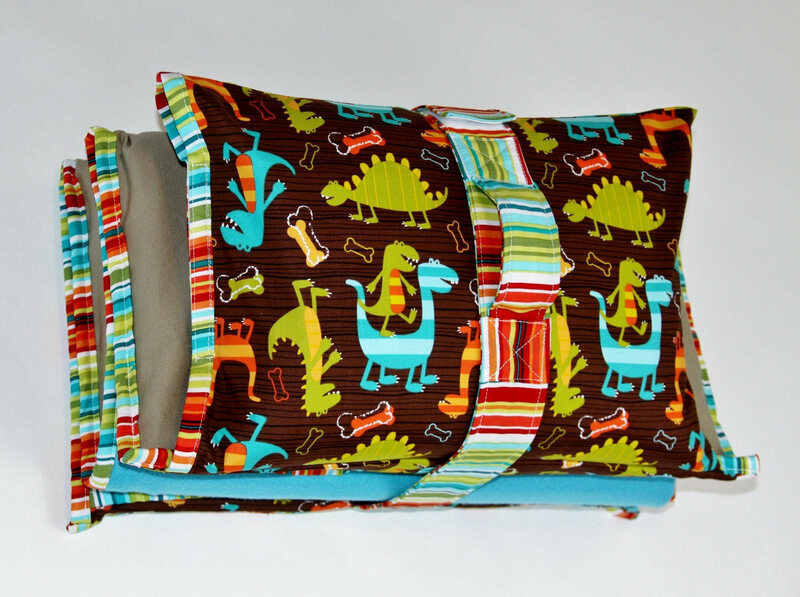 The attached pillowcase can be flipped out beyond the mat, providing several extra inches of length. 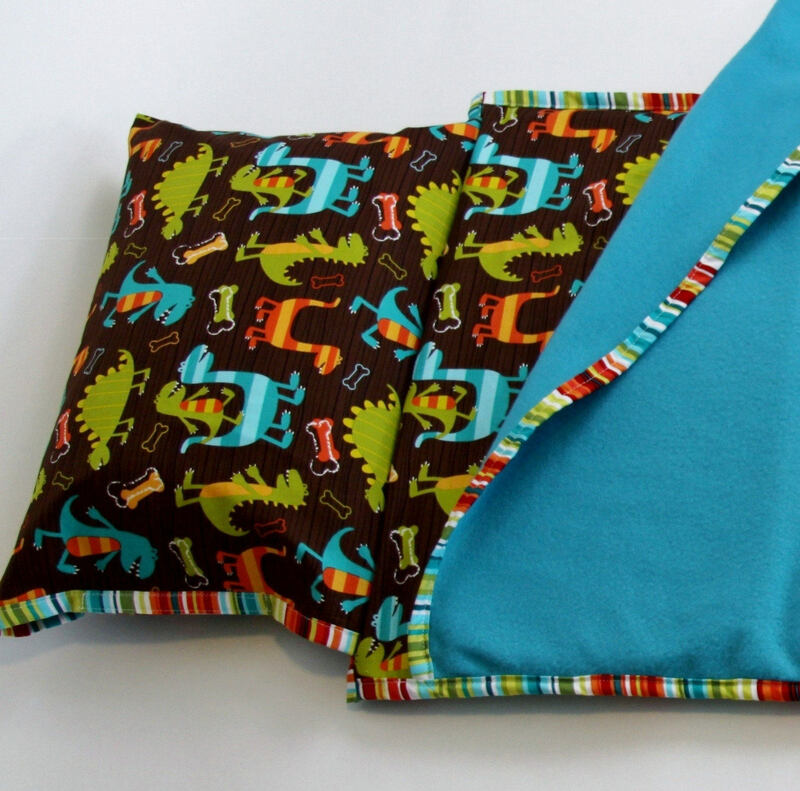 It is sized for a 12"x16" travel sized pillow (not included), and has a velcro closure to keep the pillow securely in place. A 28" wide fleece blanket in a coordinating solid color is attached on one side. 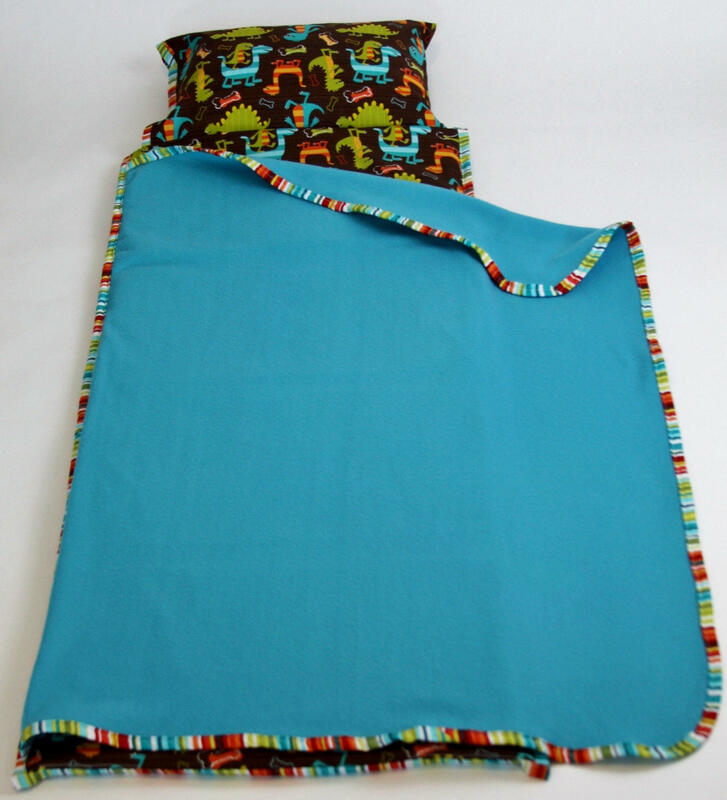 The extra width extends beyond the mat and allows your child to get snuggled in properly. 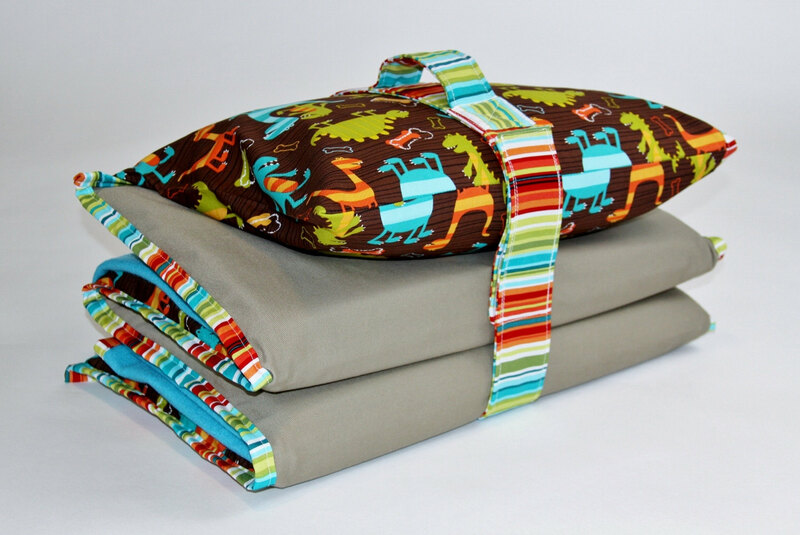 The attached fabric strap can be wrapped around a folded nap mat and secured with velcro. It has a lightly padded handle, for handy toting. The back side of the cover is sewn in a durable khaki cotton twill. 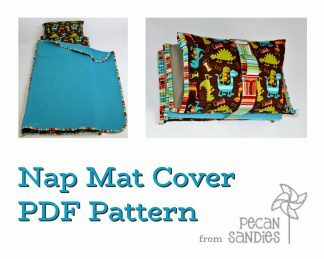 The cover has velcro closures at the bottom, to keep the mat in place inside the cover. Personalization is available! 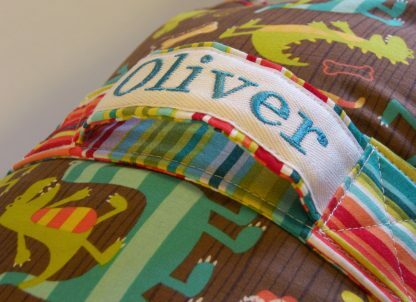 Have your child’s name embroidered on the handle for an additional fee.